This is approximately 100 hours course which will follow A1 course syllabus based on the recommendations made by the European Commission in the Common European Framework of Reference, preparing for the A1 Exam conducted by the Goethe Institute. Please note that there will be 6 hours sessions every weekend, and therefore, the 100 hours course will take around 16 weeks to complete. 1. German system for higher education has a number of universities with a very low or non-existent tuition fee. 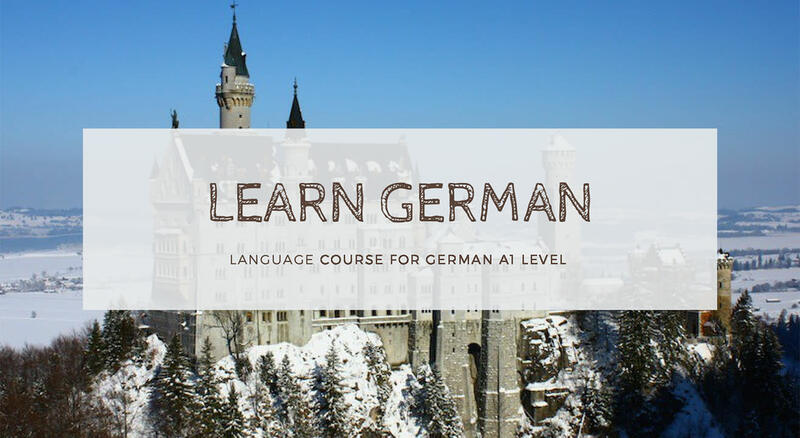 Learning German can help save on student debt for those aspiring to study in Germany. 2. Germany is the biggest economy within the European Union and the fourth largest worldwide. There are more than 1000 German companies operating in India, with India emerging as a global manufacturing and services hub for Germany. Having German language skills on your resume is a well recognised differentiator when it comes to on-site placements @ Germany. 3. Second most-spoken language in Europe and a must-learn if one plans to stay in/visit Germany/Europe for some time. 4. The facilitator of German language course @ The Circular Square - Jayashri Ramchandran. Please read about her in the facilitator section. Course material is easily available in book stores/online and to be arranged by student. Books list will be provided by the trainer. The training will focus on preparing students to attempt A1 certification exam. Registration for A1 certificate exam is not in scope of this event and is to be done separately by students if interested to give exam.